Sadness is a normal human emotion. It is physically and emotionally unpleasant to feel sad, but feeling sad during appropriately sobering events like death, divorce, or loneliness is an essential part of our human experience. A person having a wide and varied emotional spectrum is a sign of mental wellness. As the old saying goes, ‘how do you know the sunshine without the rain’? However, prolonged depression is an unhealthy exaggerated sense of sadness that carries with it a vast number of other symptoms that if experienced together and impacts a person’s functioning negatively can be diagnosed as clinically significant. Sadness is a subjective state that can be described as feeling down, low, empty, or “bad”. 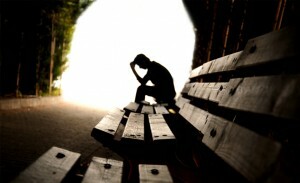 Short periods of depression, two weeks or less, is something that a vast number of people experience in their lifetime. These periods may have situational triggers such as bereavement or symptoms that are better accounted for by physical health conditions like thyroid or hormone problems. Clinical depression is defined as a Mood Disorder that lasts for two weeks or longer and includes the following symptoms: hopeless, feeling as though things will never get better, helpless, feeling as though you can not do anything about your situation. 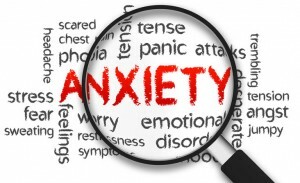 Additional symptoms include possible increase or decrease in both sleep and appetite, as well as feelings of anhedonia, meaning that life is no fun and things you used to like to do you don’t do anymore, crying spells, moving slow, being unfocused, irritable, feeling constantly fatigued or slowed down, and difficulty with decision making. Some issues related to depression, that people in the mental health community take very seriously are thoughts, actions, plans, and means to harm your self or another. In depression, people sometimes have those thoughts about wanting to hurt themselves or someone else. Psychiatrists and counselors constantly engage in screening for suicidal ideation as well as homicidal ideation throughout the treatment process. A client being honest about these feelings is essential to treatment. Safety is of great importance and our highest duty. Many issues can be changed or coped with, but suicide is irreversible. If you or someone you love is thinking of suicide or harming another individual please contact your nearest physician, counselors, hospital, dial 911, or call the National Suicide Prevention Lifeline at 1-800-273-8255 in USA. The best treatment for depression is a combination of medication intervention and psychotherapy. An individual utilizing a psychiatrist to properly diagnose your symptoms then helping you find the right combination of medication for your unique chemistry is key to managing mental health issues. Equally, utilizing a licensed therapist to explore your thoughts, feelings, and actions can help improve your quality of life. It is a myth and supports stigmatizing thought to believe that asking for help is a weakness, or in some way inferior. If any of the above information reminds you of yourself or someone you know we welcome and encourage you to contact our office at 601-957-3211.